Suspect: Hugh B. Good Jr. 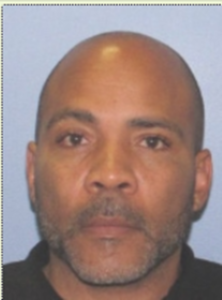 Description:	Male/Black, 49, 6’0”, 200 lbs., Brown hair, Brown eyes. Around March 2016, Mr. Good requested $9,200.00 up front from an elderly couple for a home renovation job that he never started. After numerous attempts to get their money back, a year later around February, 2017, Mr. Good paid them back with a personal check which just happened to be drawn on an account of his that he had closed a year prior. Mr. Good has ignored all recent attempts from the victim asking to be paid back. Anyone who may know the exact whereabouts of Mr. Good are asked to contact Central Ohio Crime Stoppers.